Valle de Bravo, Mexico (April 5, 2019) – Today at the 2019 J/24 North American Championship, Will Welles’ Bruschetta withstood a charging Tony Parker’s Bangor Packet to return the trophy to Newport, RI. Welles, two-time J/24 World Champion and now four-time J/24 North American Champion, came into today’s final two races with a slight two-point advantage over Parker. With boat owner Aroldo de Rienzo aboard as well as Rich Bowen, John McCabe and PJ Schaffer, Bruschetta took the victory in Race 9, with Parker still hot on their heels in second. The pair dueled in the final contest, with Welles placing ninth and Parker 10th, giving Welles and team the Championship with 24 points to Parker’s 28. In third place overall, and top Mexican finisher, was Kenneth Porter’s S with 32 points. Today’s race winners were Welles and Porter. 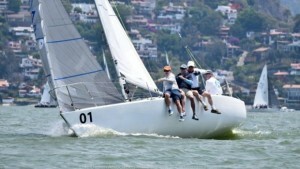 Welles had never sailed in Valle de Bravo before this week, when he also competed in the Mexican National Championship (placing first overall). Although this marked the first time paired with local boat owner de Rienzo, the remaining crew are good friends from Newport, RI who sometimes race together in Fleet 50. 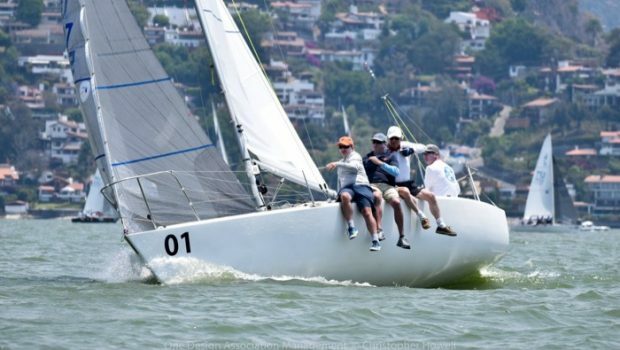 Twenty-seven J/24s completed 10 races at Club Nautico Valle de Bravo in Mexico from April 2-5.